My husband and I are traveling in our RV with our two Bichon Frise dogs, Sammy and Morgan. Since living in an RV means that space is small. I had to make some decisions on what I could take with me on the road. My Babylock Ellisimo Gold is just too large for the RV so my Ellisimo Gold is waiting at home for my return. 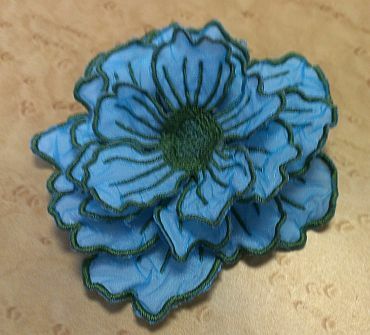 After 6 weeks on the road, I was ready to embroider or quilt something. But, I did not have my machine with me. I decided to buy a new machine that would be more conducive to RVing. 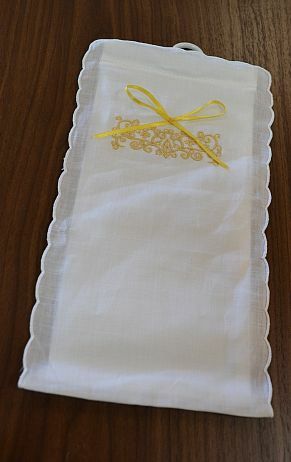 I selected Janome 9900. 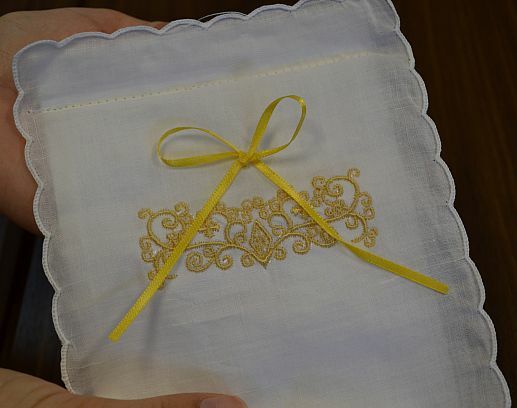 It has a maximum embroidery area of 6.7″ x 7.9″ (170xx x 200mm), and the embroidery unit is small. It fits on the back of the machine and opens to the rear. 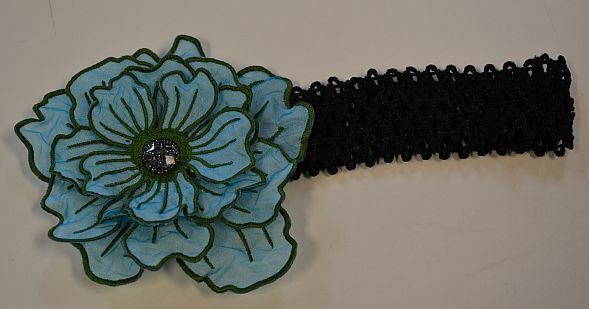 The machine has a 9mm stitch with will be nice when I use decorative stitches. The 9900 has a maximum embroidery speed of 800 stitches per minute. 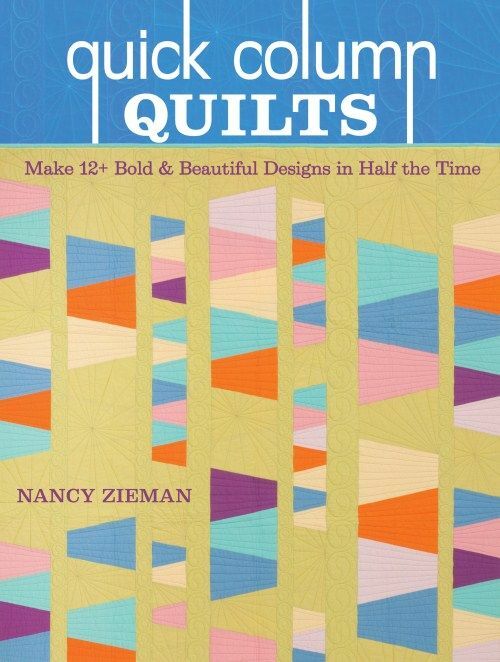 With 200 stitches, 6 one step button holes, 175 built-in embroidery designs and so much more. I’ve had my new Janome 9900 for a week now, and I love it. 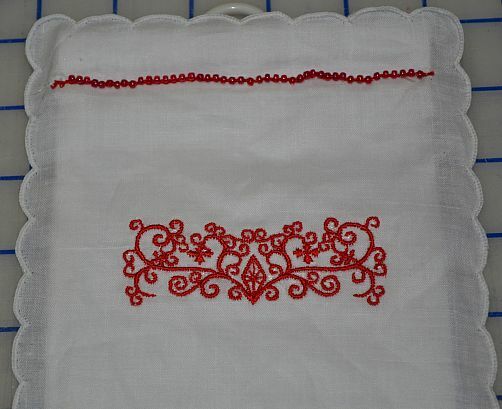 I’ve done some embroidery, after digitizing the designs, and am making a Christmas themed throw pillow. 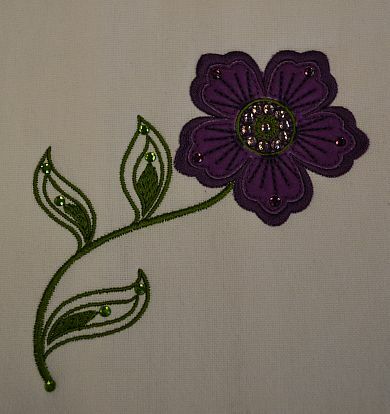 Below are pictures of the embroidery designs that I created. 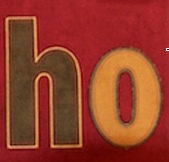 The letters are appliqué designs with a bean stitch inside the satin outline which adds a uniqueness to the design. I used a true type font for the ho and HO. I drew a funky H and created the ornament using a circles, lines and a hand drawn ornament topper. I will provide instructions on how to digitize the designs in a subsequent post as well as instructions on how to create the pillow. 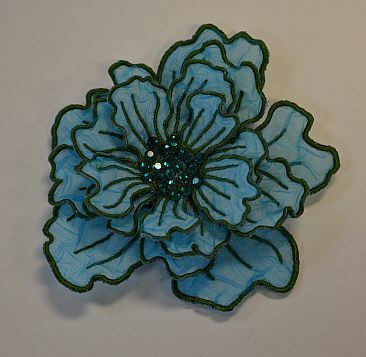 In the meantime, happy embroidering, happy quilting, and Happy Holidays. 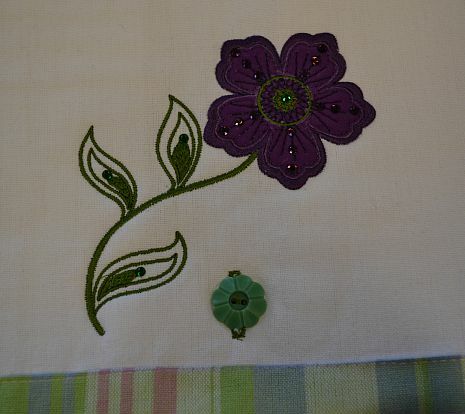 If you are in the market for a nice sewing/embroidery machine, consider the Janome 9900. The staff at Humble Sewing Center (Sew Vac Outlet) will be glad to demo this awesome machine. 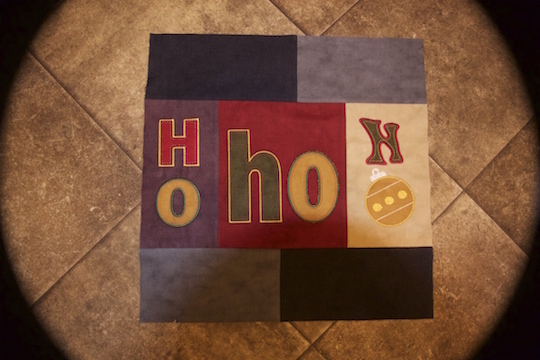 Stay tuned for subsequent posts about my HO ho Ho pillow. 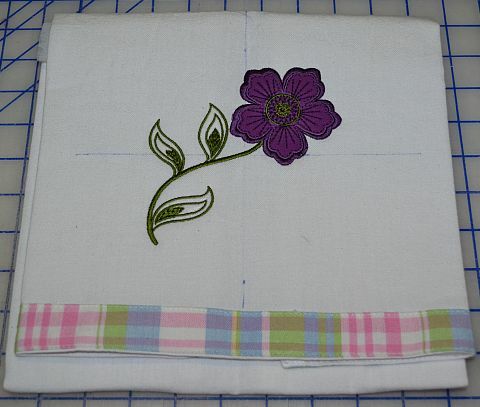 This entry was posted in Just for Fun and tagged applique, Embroiery, janome, pillow, Software on December 1, 2014 by Designs by Marje. 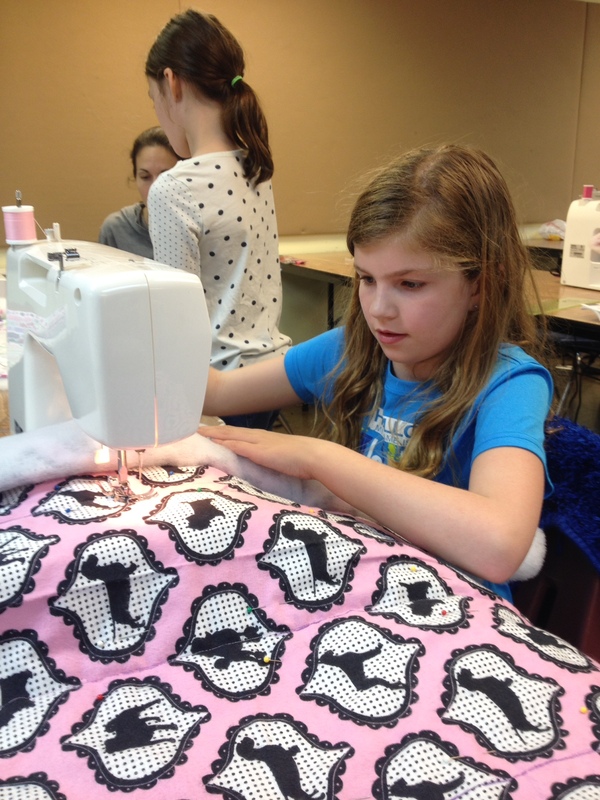 We made some wonderful projects this month at our Girl’s Sew Club! 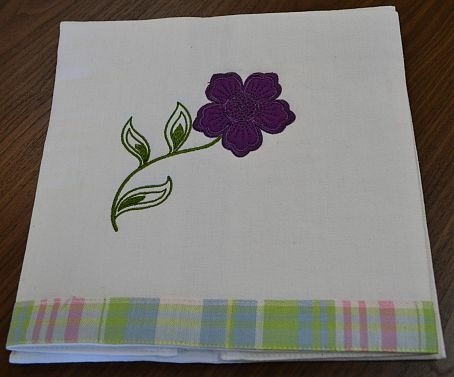 I like to select projects that will help the girls to learn new sewing techniques each time they come to class. 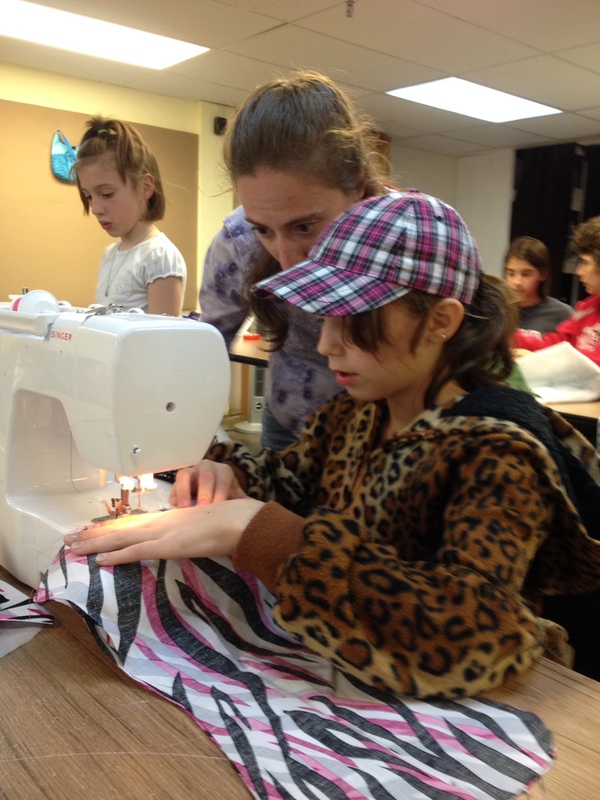 This month, they got to practice the art of sewing around curves while they made a round pillow. 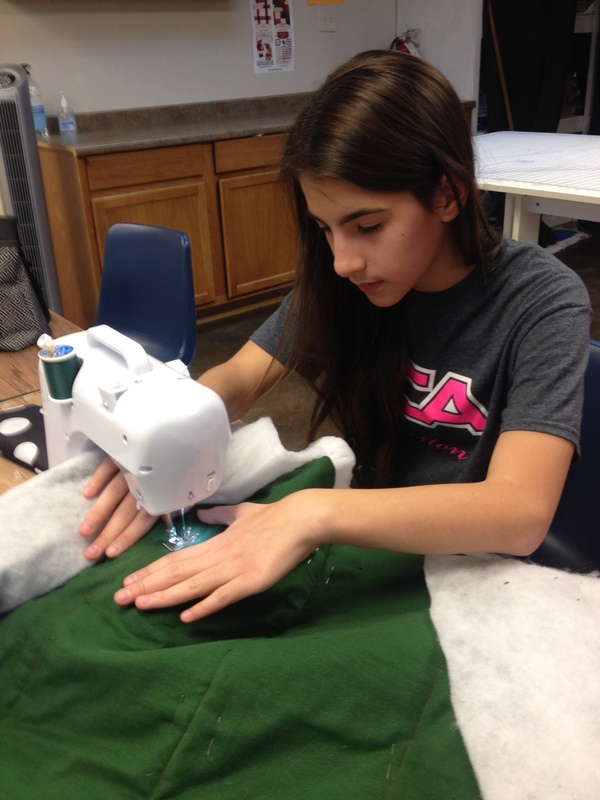 They also learned to embellish their custom pillows with a fun technique called “reverse applique”. The girls were encouraged to write their initial on the pillow or to draw a simple shape like a heart. They then sewed around their letter or their drawing. 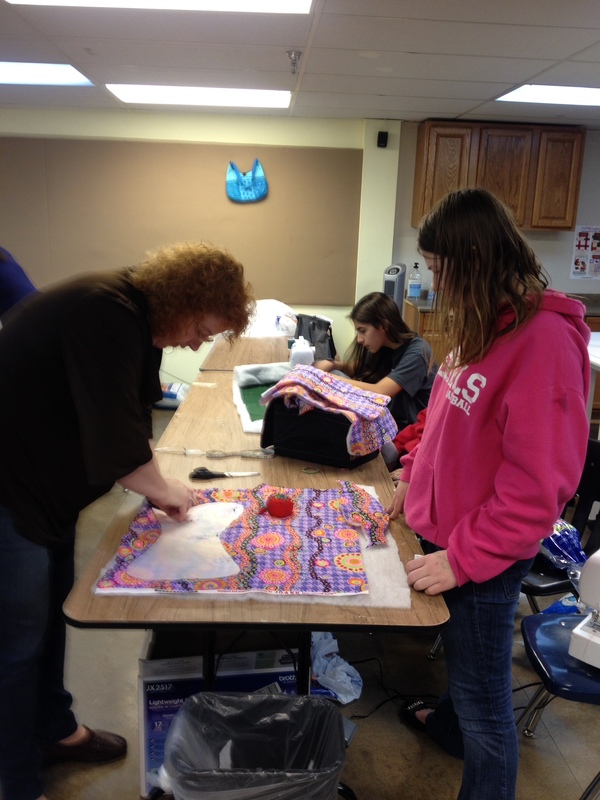 After that, they cut away the first layer of fabric to reveal the “peek-a-boo” fabric that was hiding underneath. 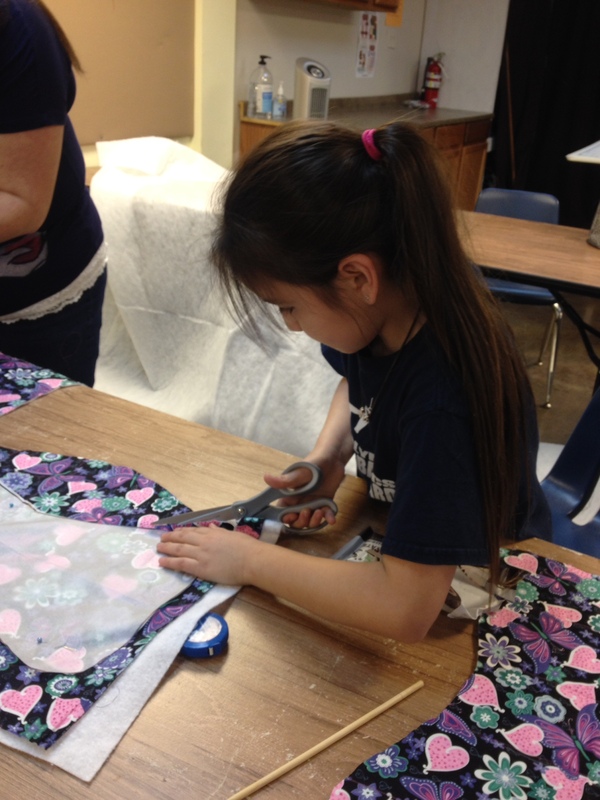 To top it off, some of them were even willing to try their hand at sewing piping around their pillows as well! 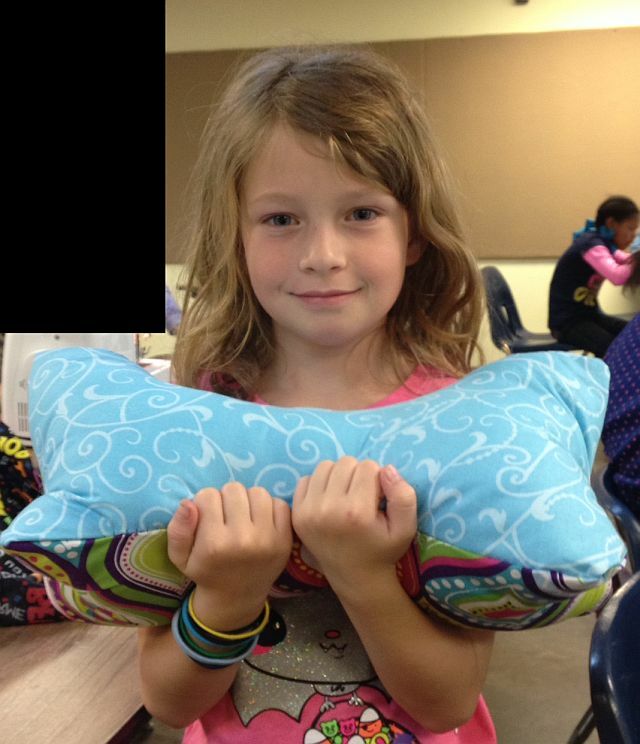 It was an evening of fun and lots of happy kids with some REALLY cute pillows! Sewing her pillow closed all by herself! The only thing cuter than that pillow is her beautiful smile! Look closely and you’ll see that she added a star above her M.So creative! 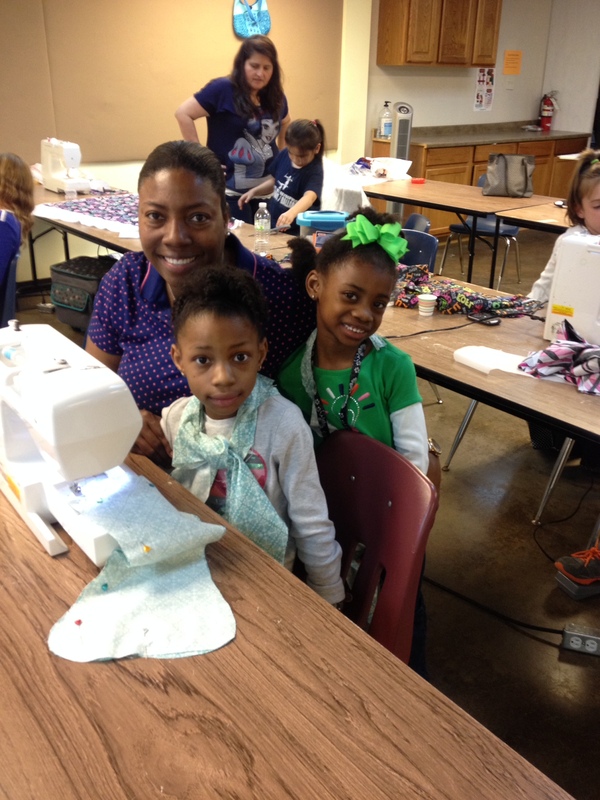 Mothers & Daughters Make the Best Sewing Teams Ever! Group Photos: Look what we MADE!!! Each one of the girls deserves a big applause! Everyone, and I mean each and every one of them did such a great job at class tonight! Mom’s, you are amazing! 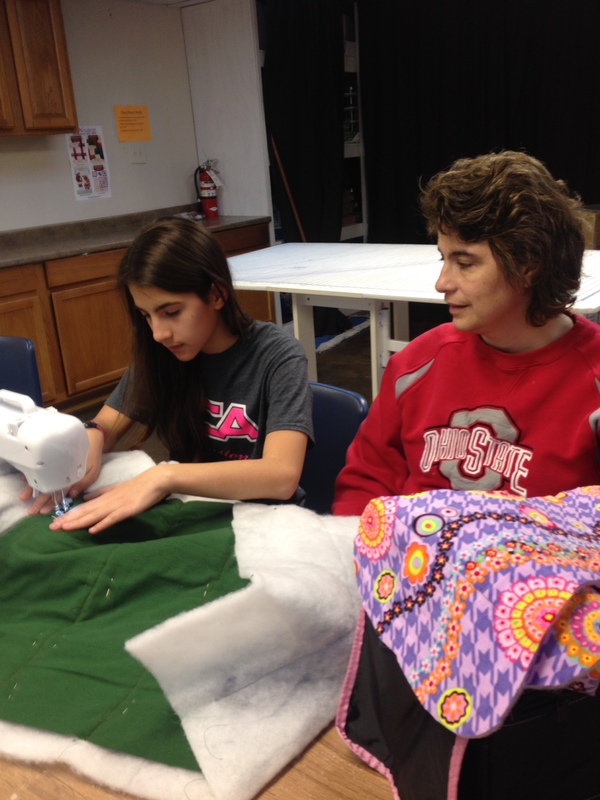 Thanks again for bringing your daughters to this class and helping them with their pillows! Fill in the form below if you would like to find out about attending our next girl’s club! 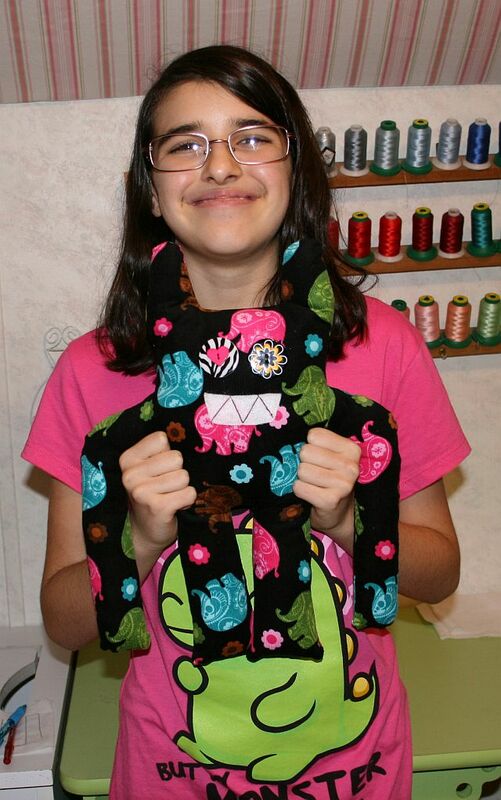 This entry was posted in Classes, Just for Fun and tagged kids sewing classes on March 30, 2014 by Jenny Gabriel. 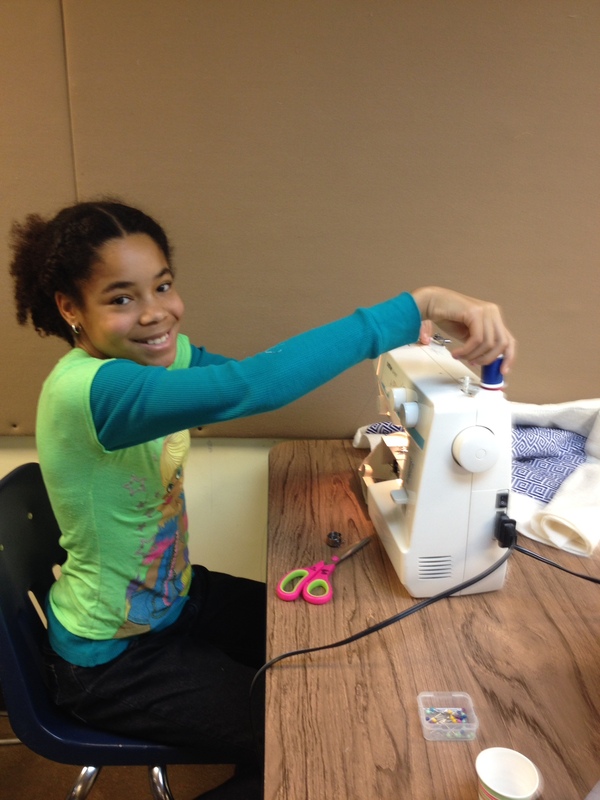 As you who already visit our blog may know, I offer a monthly sew club for girls and their moms/mentors at Humble Sewing Center. If you are interested in joining in on the fun, Click our calendar for more details. I must say, this month’s club was the one of the best so far! 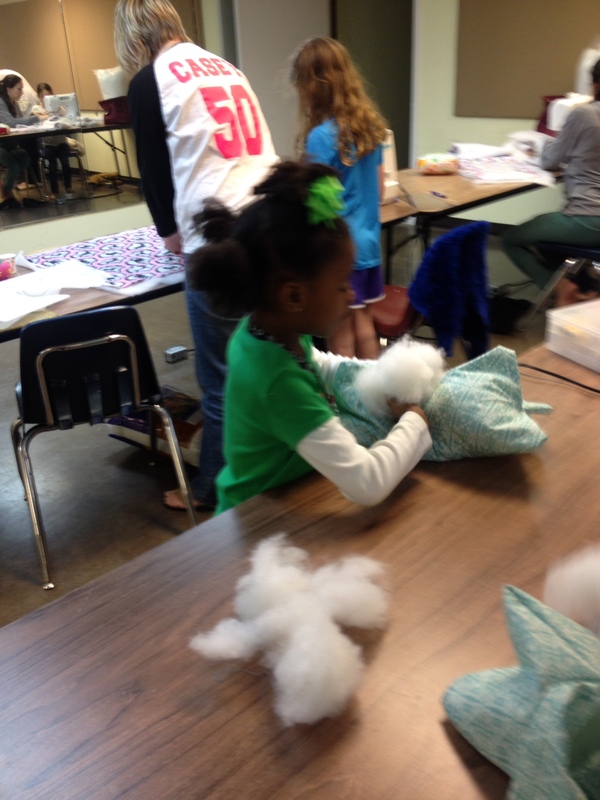 We had a BLAST making some amazing Bone Neck Pillows. What’s a Bone Neck Pillow you ask? Well, check out these pictures and see for yourself! 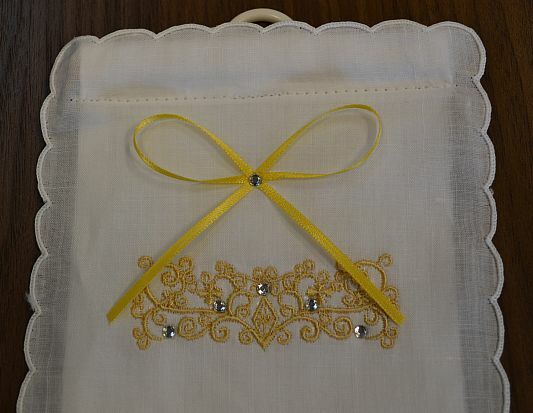 NOTE: COMING SOON – a very abbreviated tutorial for those who attended the class and want a few reminders so they can make MORE Bone Neck Pillows and be superstars when they sell them or give them as gifts! 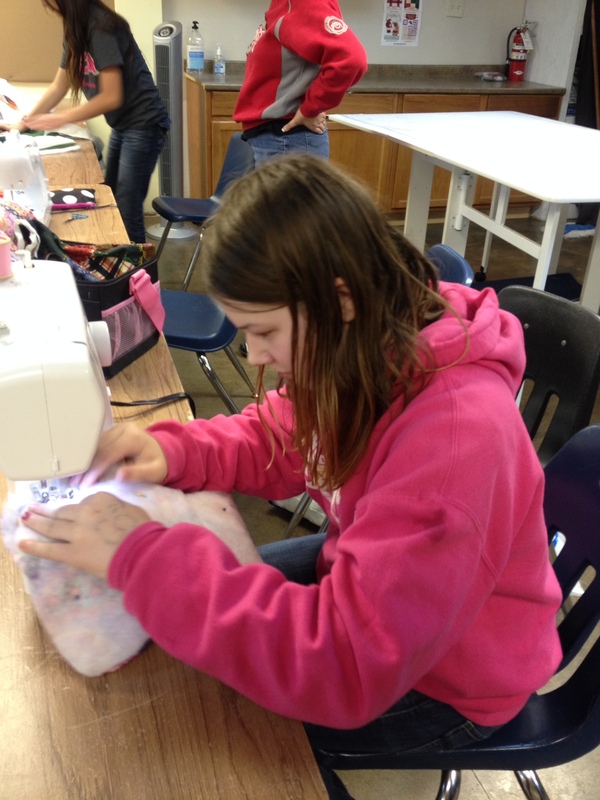 Learning a Life Skill and LOVING it! Sweet Little Smile and a finished Bone Neck Pillow! 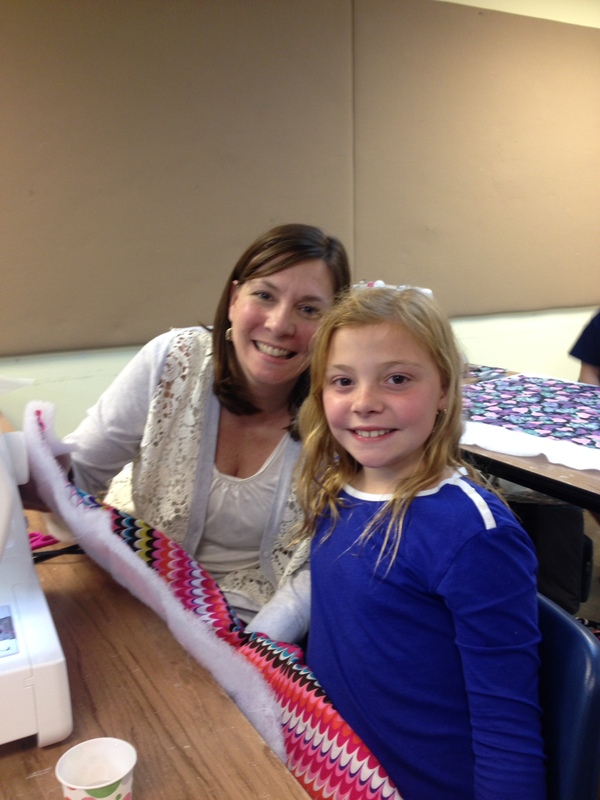 Thank you, thank you, thank you to all the mom’s who stayed and helped with sewing! You made the night a complete success! I’m looking forward to seeing you all soon! 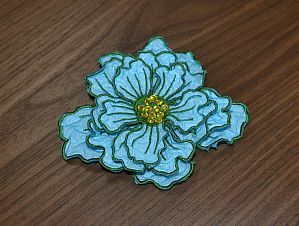 I’ll be posting a supply list for March Sew Club ASAP. I hope to see you there! Note: Please remember to contact me and let me know if you plan to attend the next club. This entry was posted in Classes, Just for Fun and tagged Bone Neck Pillow on February 27, 2014 by Jenny Gabriel. My great grandmother, Jenny Black, lived to be 94 years old. Not only could she make custom tailored suites, but she was full of laughter and a little mischief, too. I’m convinced she lived so long, in part, because she new how to find things to laugh about – and she was ok with laughing at herself. Have a great day and a Happy New Year! Lot’s of new and creative ideas are bubbling over in my little head. Can’t wait to share…. 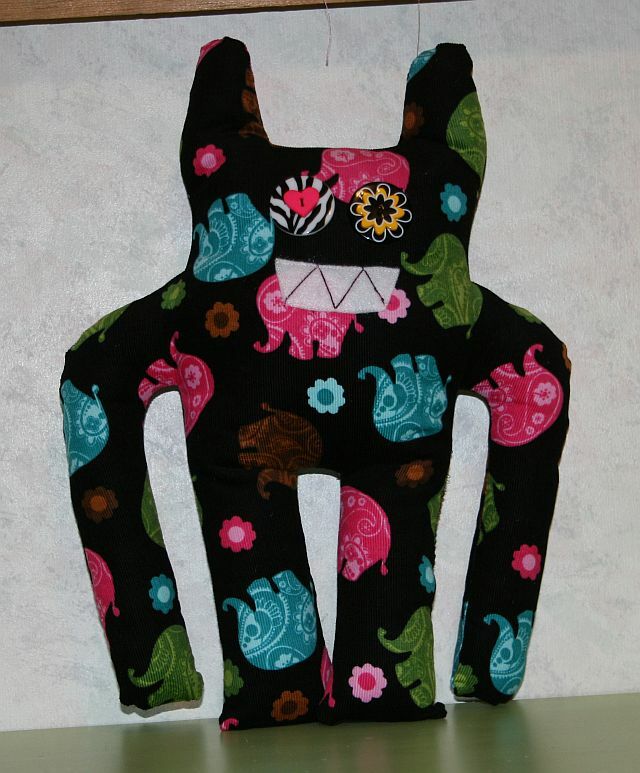 This entry was posted in Just for Fun and tagged fabricaholics, sewaholic, sewing cartoon, sewing humor on January 1, 2012 by Jenny Gabriel.